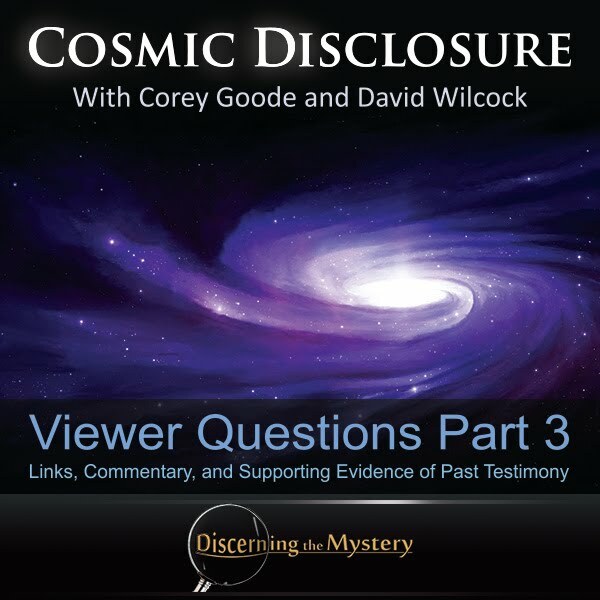 This episode of Cosmic Disclosure featured a number of viewer questions which Corey and David discussed. These were submitted by actual viewers of the series who got a chance to have a few extra details filled in on different subjects. Personally, I appreciate episodes like this because it lets the audience know that Corey and David are real people, that they listen, and they care about helping people to be informed. David Wilcock: All right. Welcome to “Cosmic Disclosure”. I'm your host, David Wilcock, and in this episode, we're taking your questions, so that I will become the embodiment of you asking your questions to Corey so we can hopefully get some different perspectives on this besides what I might come up with on my own. So Corey, welcome to the show. David: All right, let's get right started on this. I noticed a couple people asked in reference to the binary star system possibility, including the presence of a large planet. I know it's been talked about since the '80s. Do you or the Inner Earth people have any info regarding Planet X, etc., and a possible timeline? Corey: My timeline of a Planet X. There is information about large bodies within the Kuiper Belt on the ecliptic plane and outside the ecliptic plane. One thing that I noticed when initially trying to research Planet X was that it is a subject of focus for many fear-mongers. People and online publishers seem to enjoy imagining destruction related to this ideal of a planet, or any other subject of the unknown. This fear is actually a common means of manipulating people and preventing them from learning about the secrets which have been kept from the majority of humanity. My own impression of Planet X is that it is possibly a planet which exist beyond the orbit of Pluto, and orbits the sun just like the other planets. It is a subject that requires further study so that we can learn all that we can, while kindly ignoring the questionable sources which claim that this planet is going to 'jump out and get us'. One thing I appreciate about the testimony of such people as Corey Goode are that they make sure to simply give the information they know, without any attempts to embellish or to say more than they are actually sure about. This is a key trait to make note of on one's search for reliable sources. David: When you say large, how large are we talking? Corey: Yes. And because of gravitational forces, they've become spheres. And there's been information presented about them entering in the same way long period comets do into our solar system. But I was given no information, saw any information, about there being a Planet X as I have seen presented on the Internet. David: Well, this is, of course . . . The root of the question would be the classic Zecharia Sitchin model, which is that he interprets the Sumerian cuneiform tablets as saying that there is a Nibiru, which is a planet that he believes has the 3,600 year orbit. It's very elliptical. And his hypothesis was that when it swoops into our solar system that it's causing catastrophic events on Earth. Corey: And they did mention the binary star hypothesis, which some call the nemesis star, which is they say that we're a failed binary star system and that there is a brown dwarf further out towards the heliopause. David: And you say, “They say . . .” They who? Corey: They being those in the upper Secret Space Program and the information that was on the smart-glass pads. And that's really all the information I have on anything Planet X related. David: So are you refuting Zecharia Sitchin's model of a 3,600 year orbit for Nibiru? Corey: In the recent Inner Earth meeting I had, I was provided information that was stating that the Zecharia Sitchin narrative was not accurate, that it was a narrative put forth by some of these syndicate groups. David: What you said, though, is very open-ended. Corey: Yes, but . . .
David: There are obviously Annunaki. You've seen the Draco. David: So there's got to be some truth to it. Corey: Right. Yeah, there's always truth. Like I said, the Ancient Alien Hypothesis is true, and there's nuggets of information in there that are a part of a certain secret Earth syndicate's belief system that they've brought in to make a part of our belief system. Corey: And this is according to the Inner Earth civilization. And I did follow up studies of my own trying to break through the Zecharia Sitchin information. And I'm not a scholar on linguistics, ancient Sumerian or anything like that. I couldn't find anything in all of the translations that scholars use that was in his books. David: So are you saying that the translations of Zecharia Sitchin claims to have made from certain scriptures do not actually appear to be accurate of what they really say? Corey: That appears to be the case. David: And how extensive is that? David: So there is a kind of a confabulated psyop disinformation campaign going on with this. David: Okay. The second question deals with this subject as well, so I think it's good to just dive right into that. “Mainstream science is finally working toward admitting that there's a ninth planet in our solar system with a huge mass and a giant elliptical orbit.” Obviously, we just talked about that. Corey: This barrier is where the heliopause is, where the electromagnetic influence of the sun ends. 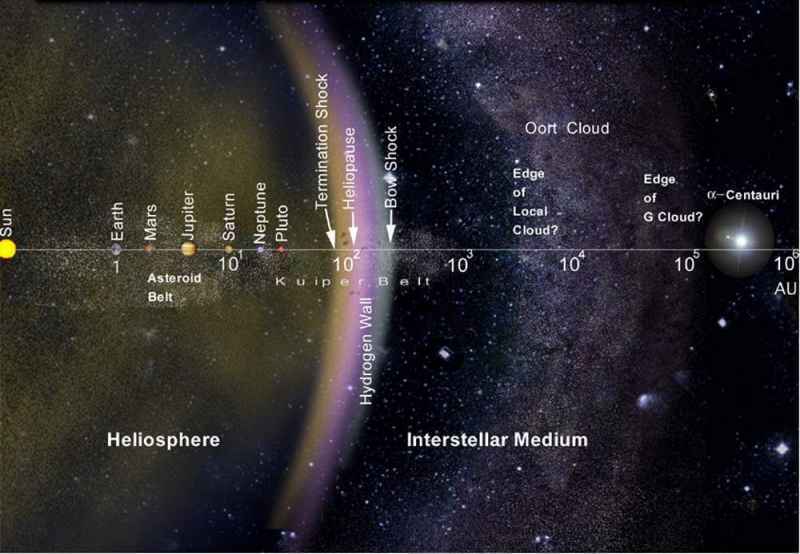 That's past the Oort Cloud – past the Kuiper Belt, the Oort Cloud. The heliopause is the end of what they consider where the sun's influence leaves off and other stars begin or open space is. David: If you were going to look at the distance between the sun and Pluto as if it was, let's say, something you can put in between your fingers. How much farther than that is the boundary of the heliopause? Corey: Probably several parking lots away. David: Wow! So it's much, much, much larger than where the planets are. David: The other part of the question was admitting there is a ninth planet. Now, based on what you said before, it doesn't sound like it's just one planet, right? Is there more than one body out there that's large? Corey: Yes, there are. And what was recently explained to me was that this super planet that many call- - I mean, it's called a lot of things, Maldek, Electra, Tiamat, but . . .
David: The destroyed Super Earth you're talking about. Corey: Yes. That in the asteroid belt, there is just a very small fraction of a percentage of what was actually there at one time. It was such an energetic explosion that much of the Kuiper Belt is actually what made up that planet – it's oceans, layers of its rocky core. David: So just for viewers who don't track this, tell us the relationship between the asteroid belt, the Kuiper Belt and the Oort Cloud. Corey: Okay. As you move out from the rocky planets to the gas planets, the first belt you run into is the asteroid belt. And then you run into the gas giants. And then you reach the Kuiper Belt. And then further out, you reach the Oort Cloud. And the farthest place that you reach that is considered the solar system is the heliopause. David: Right. So do you think that these planets . . . You say that there's more than one planet out past the Kuiper Belt? Corey: Yes, and a lot of these are made up of just ice. And they're bigger than the Earth, but they're ice planets. David: Do they have Ancient Builder race settlements on them? Or were they the fragments from this exploded planet and they're new? Corey: They were fragments from this exploded planet. Corey: And they're in the ecliptic plane, and as I said before, outside of the ecliptic plane as behaving like a long period. David: I think some of the viewers might be a little frustrated though, because on the one hand you're admitting that there might be something like what the Sumerians called Nibiru out there, but you're not saying anything about whether anybody lives on it. Does it have any recent bases on it or anything like that? Corey: Atmosphere? Like I said, I have not been presented any information or seen any evidence of there being another planet that's coming in every 3,600 years that has living beings on it that matches that narrative. David: Okay. And you say some of these objects are larger than the Earth? David: Do you know approximately how many of them there are that are large? Corey: No, but I was told that at one time there were three that were long-period comets that would come in and wreak havoc. It seems that . . . I was told that one of them eventually did have a collision with the sun or went into the sun a long time ago. David: Do you think creating some kind of a UFO religion that's actually fraudulent helps to confuse the possibility of Disclosure when it eventually comes out? Because you're really probably going to be upsetting a lot of people with your answers to these questions. Corey: I've become used to that. Corey: But, yeah. This is going to upset a lot of people or challenge their paradigms, but all of us . . . I've had my paradigm changed many times. And we've got to be willing to grow and keep an open mind, but use discernment. And I'm reporting from my experiences – my involvement. There's obviously information . . . I could not have access to all the information available. So there's plenty of information that I didn't access during my time. So there could have been that information like you're talking about that I did not access. I just never accessed that information. There is a quality of character which seems to be rare within modern society, including the awakened community. This is the attribute of mental flexibility. It seems that some people, when eager to learn, begin their journey of discovery with open mindedness and curiosity, which is good. However. upon finding the first semi-coherent explanation of reality, they completely close their mind to everything else afterward if they feel it contradict their accepted version of reality. The temptation can be very strong to fall back into the old habit of dependency upon the ideas of others, clinging to them as a security blanket. However, this may only be an act of insecurity and self-preservation which we only employed due to our unawareness of self. This is what we all did when we were asleep. Should we do no different after awakening? I think that we very much should. We as mature adults are fully capable of having the mental flexibility necessary for seeking and determining accurate truth. We are fully capable of letting go of potentially flawed beliefs for the sake of finding true information. There is no absolutely perfect source, except that which resides within the divine selves, free of fear, and without pretense or preconception. In our journey for truth, lets remember that the greatest journey is the journey within. David: If you had to guesstimate the total number of hours you spent poking around the smart-glass pad, how many hours you think that it would be? Corey: It's impossible to estimate. There were times to where I would sit there, and that's almost all I would do in a day. David: So for the whole waking hours of the day, like 16 hours. Corey: Right, on the research vessel especially. David: How much of it was text, and how much of it was video? Corey: It was presented quite a bit of text. There would be video and still photography. And there were areas kind of like at the end of papers, footnotes, different point of views from different scientific groups sponsored by different syndicate point of views – people that had different . . . Just like here in the regular community, we see everybody has all these different belief systems. It's no different in these syndicates or in the space programs. People have belief systems. David: How were the different groups identified? Did they have names or were they coded? Corey: No, they were just listed as different theses or different points of views. Corey: But it was obvious which way they were leaning by the information they would bring in. And I didn't spend a whole lot of time in the footnotes reading because those were the things that were very thick in scientific information, and that was not my forte. Corey: Absolutely. Already they're backing off from me wanting to report anything about them at all because so many people instead of focusing on their selves are focusing outwardly and trying to reach out to them with their minds. Some people are even praying to them. This is the genetic programming that they want us to break. They want us to get off our knees, quit looking to saviors and look inwardly – fix what needs to be fixed and get on with it. They're not here to do it for us. They're not here to say “Peek a boo! Here I am. Now you know I'm here.” There is a Santa Claus, so decorate your tree. They've made it very clear that we have just as much a role to play in our future timeline and how things unfold as any of the other beings that have been involved in this grand experiment. David: Maybe people are having trouble understanding how you would be the only person publicly right now who seems to have been contacted by these beings directly. Why wouldn't they have cast a wider net at this point? Corey: They have. There's people that just have not come forward. There are some people that have contacted us here and there, but these people are not being led to come forward. A lot of people that have given reports are people that have been taken up to the Lunar Operation Command in their pajamas, walking around. There's more going on. People maybe having more experiences than they realize. They could be having them . . . When the Blue Avians approached me, they did it in a quasi-dream state first so not to freak me out too much. And usually that's one of the ways they first start approaching people. When they start showing an energetic or a sign that they're ready, they'll start approaching them in dreams. And then as they show that they're mature and ready, more can occur. David: What about the phenomenon of orbs? Corey: What I was about to say with myself, that one of the reasons I think that I've had the contact was because I am authorized to have the contact, because I had had contact with other beings as a part of the program when I was being raised to interface with these beings. Corey: So for them to pop into someone's house right now while they're watching this show and say, “Yes, I'm real. Now get off your rear and change the world.” The people are not doing it for the right reasons. We've got to motivate ourselves and solve all of our own issues and not wait for all these different savior beings to come and do it, or savior groups, and overcome this genetic programming we have to look for a leader or a savior. David: You had mentioned before about orbs that there are ways in which people are being contacted. Corey: Yes. People are seeing the orbs. That's the largest way people are being contacted. David: So what might happen to someone? Corey: They will be in a room and they will see an orb zig-zag around and either disappear, or they will see it zig-zag around and stop and disappear. And they'll think, “Wow! That was a very interesting experience.” Or some people have had conscious communications with these spheres. A lot of people don't realize that when they see these spheres, sometimes they're having a communication. They're with their higher self, and they're not consciously perceiving the communication with the orb that they see. David: So if the Cabal is following these rules where they can't be completely hidden, and they have to tell us what they're doing, then why do these positive beings follow rules where they are hiding? Corey: Well, it's not so much that the Cabal has rules where they have to show us what they're doing. That is how they manipulate our mass consciousness, and our mass consciousness is their power and their magic. They're showing us what they're doing so we manifest what they want us to manifest. David: Okay. It just seems that whatever negative energy these things that they're doing generate, that it doesn't generate the energy they need if they don't tell us what they're doing in some way. That's the Loosh principle, right? Corey: To put it in perspective, these sphere beings are not contacting other ET beings that are in our solar system or ancient breakaway civilizations below the Earth either that are much more advanced than us. They're not answering their hails. They're not talking to them. They're ignoring them. So if you're out there and you're being ignored, join the club. There's many dozens of beings that are wanting to be incommunicado with them. David: Okay, so the next question here is related. “Other than helping others to raise their consciousness, what else can we do to help bring about the process of Full Disclosure and to help usher in this change to society?” So they're saying other than helping others raise their consciousness – because that's been the main message – what else can we do to bring in Full Disclosure? Corey: That's a very interesting question, very interesting time. Right now is . . . I mean, if you do not see the trickle of disclosure around you, you're in deep denial. There is a narrative that is being put forth of disclosure that we're going to have to live with if we're not willing to get out and make it known that we want Full Disclosure. How we do that - we're going to have to come together. We're going to have to get over all of these distortions, personal truths or just basically agree to disagree on all of our belief systems and do what the Cabal has done. They have all different belief systems, but they found a common goal, and a very small number – less than 1% of the population – is doing what to 99% of the population? Imagine what we could do as a community if we could get UNITY in the community and agree to disagree on certain things and focus on our common goals and our common enemy. Doing that . . . The mass meditations are great, but raising your own consciousness and raising the consciousness of others through the way you behave every day – that's the way to do it long term. But coming up in the short term, we're all going to have to put some skin in the game. David: So we're talking about Full Disclosure, and it seems as if – to get back to the core of this question – that the individual watching this show right now is relatively powerless. You're saying these are geopolitical forces way beyond our control. They have EMPs. They could knock out power grids. They have Internet kill switch. Is there something that the audience could do, since I would imagine most of these people believe you, or they wouldn't continue to watch? They're not sitting here and laughing at you and getting off on being skeptics. They believe you. That's a powerful coalition. Is there something that could be done to help that Full Disclosure take place? Corey: Yes. We talked earlier about the Cabal doing things out in the open to manipulate our mass consciousness. One of the major things they've done is strip any understanding or knowledge that we have of the power of our co-creative consciousness. That's the only way they rule us. We can use that co-creative consciousness to manifest this timeline to where we get this Full Disclosure. David: That sounds like gobbledygook. Corey: It does, but you've put forth in your shows and talks . . . How many times have you talked about mass meditations having a direct effect? You and I both have talked about scientists have proven that observing an experiment has an effect on its outcome. Consciousness has an effect on reality. And whether you believe it not, it occurs. And what was communicated to me is that all of these – the Sphere Being Alliance, the Inner Earth and even the Secret Space Program Alliance – they have been sitting back wondering why, with all this information we're receiving, we're still sitting back waiting for saviors and not taking to the streets? And that's the initiative that people are going to start hearing us talk about – unity in our community, having people put aside their differences and focus on Full Disclosure, not only in the meditative way, but getting people presented to the mainstream type of people that are credentialed, that have information that isn't going to throw a wrench in their paradigm too much – just to get them thinking. And then they'll branch out and start seeing more of our information and broaden their consciousness to get the consciousness of the sleeping masses on our side. And our consciousness is like a rudder for the boat. We can help guide which way we go. And this was made very clear by all three sources. Corey: I would say stop focusing on them and start focusing on yourself. When you are ready, it will be more likely to happen. But reaching out with your mind, going and looking for them when you're not ready can . . . A lot of times you think you're ready, but you're not. And you have to be careful when you're looking to make first contact, because like I said, be careful what you wish for, because everyone wants to have an amazing experience. They want to have an out-of-this-world experience, but it can quickly blow up into something that . . . and you can become a part of something a lot bigger than you really want to. You can all of a sudden be an introverted person that doesn't like to be in front of people that ends up being in front of a camera every week. Ha, ha. You may be pulled out of your comfort zone and put in . . . You just don't know what's going to happen. David: Let me ask you this. People seem to think that if they get this contact that it's just like a wonderful cosmic high. Do the rules of the universe allow the negative to counterpunch if somebody did receive a contact like this? And if so, what might the counterpunch start to be? What could happen to someone if they actually achieved this contact? Corey: You could start receiving visits from the military – black ops groups, Special Access Programs groups. You can start getting attention from other groups. So when you get attention from one group . . . You never get the attention of just one group. David: Do the Cabal groups have the technology to know if someone has had a contact? David: Is there ways they can detect it? David: So the people asking this question might think that they're in sort of a little Petri dish that's sterilized from its environment, and it's hermetically sealed, when in fact they're becoming part of a community when this happens – a community that's very aware of it. David: Is it possible that someone who received a contact like this could start to receive negative telepathic downloads that they think are positive? Corey: Well, yeah. One of the things that the military Special Access Programs do is they'll come in with this Voice of God technology and then start harassing people and confusing them – giving them conflicting information from the other information they received. They'll do a psyop on them and make the person think they're crazy, or make their family think they're crazy and have them committed . . . the dirty tricks. There's volumes of books of their dirty tricks. Corey: They are fourth density. That is what was directly communicated to me about the ones I visited in this Inner Earth council meeting, and also the Mayan breakaway civilization. I was told way before I knew about this group that I met recently . . . I knew about the Mayan breakaway group, and I had interacted with them briefly. And I had known that they were fourth density. And then I found these people also are fourth density. David: I want to generalize a little more for the sake of focusing on this question and the broader implications of it. If what you're telling us is true, there appear to be many, many beings out there that are solid looking. Corey: This has to do with frequency. The density has to do with the frequency that everything about them oscillates at. David: When you reached out and touched Kaari's hands like this, you're touching hands, right? David: You're not just waving through a cloud. David: So this fourth density . . . They're solid in some way. Corey: Right. And ourselves . . . From what I'm told, since at least the '20s, '30s, we're third-fourth density transitional. Corey: So we're in a transitional state ourselves. David: Extraterrestrials, as a general rule, are leaving behind bodies in crashes, Roswell only being the most popular example. Could a fourth-density being leave a dead corpse behind? David: So they are flesh and blood? David: Are there beings that are third density that are appearing to us as extraterrestrials, or are most of the extraterrestrials at least fourth density – as far as what the Cabal and these groups are seeing? Corey: Most of them are fourth density. They are like the merchant race – very, very, very third-density type of beings. David: This is the type you said kind of look like a horse – they have a horse-like or donkey-like face? Corey: Like a dog. More like a . . .
Corey: Yeah. Dog-ish, canine-ish look. David: Right. So those are third density but very old or something? Corey: A lot of these groups are . . . You have third density, you have fourth density, and you have fifth density groups. In the Super Federation, some of these groups . . . and a lot of these in the Super Federation refer to themselves as Guardians and are higher density – fourth and fifth density. So we have a lot of preconceived ideas about what dimensions are, what densities are, in between densities what happens. Do things just phase out? We going to have in the near future a lot of information that's going to change our point of views on a lot of these terms. David: So just to summarize what you're saying, our traditional – let's say Judeo-Christian - viewpoint that you become this energy ball when you ascend to the next level of human evolution is a misconception compared to what we now know from boots on the ground observational data like what you're providing us with. Corey: Right. It's more of a consciousness shift, and as the consciousness shift occurs, the vibratory consciousness shift occurs within an environment that has a higher vibrational energy shift as well. Your consciousness . . . You have more access to using that consciousness to manifest things in your reality. David: So you could be a being of flesh and blood, but you might be able to walk on water, levitate, manifest objects – these kinds of things. This Is How 160,000 People Physically Turned Into Light Bodies! Corey: Do things that would be miraculous to us, yes. David: That's really cool. That's all the time we have for this episode. I'm your host, David Wilcock. We got the one and only Corey Goode here. Totally exciting to talk to him about this stuff. I hope you're enjoying it. We'll see you next time. Once again, I appreciate episodes like this because they serve as a good source of feedback. Though I have never created a TV show, I imagine that connection with the audience can sometimes be difficult. It's good to see positive audience participation and the fact that there are many people who seek to understand to greater degrees instead of simply taking the information they receive for face value. The question which stood out to me was the one made about participation in the efforts toward full disclosure. This is actually reference to the Full Disclosure Project, which is a joint project promoted by ordinary people (among them are numerous, well-known personalities in the awakened community) who have decided to unify their efforts, and to use their energy, talent, and consciousness to make a difference in this world. This project represents a major effort (the first of its kind) to manifest the Golden Age we have been reading, hearing, and dreaming about for some time now. It is unified efforts like this which will make the new age come to pass. As said many times, it will not be by the salvation of some outside liberator, but by our own initiative. To learn more about the Full Disclosure Project, and how you can help, click here. 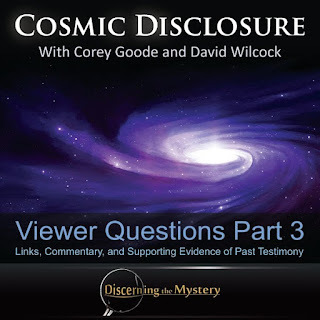 Click here to watch Cosmic Disclosure: Viewer Questions Part 3.